Need a gift for cat-loving friends? 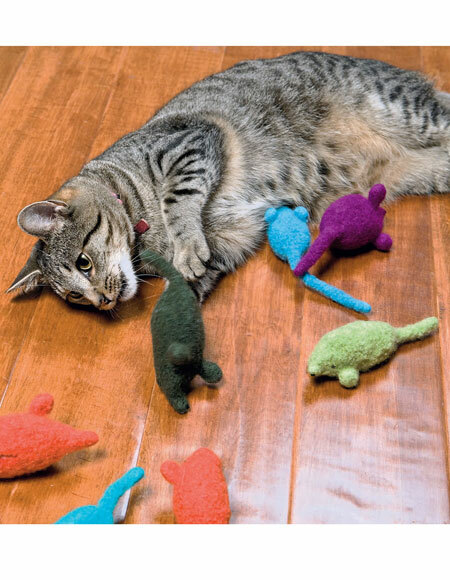 The Felted Catnip Mice pattern from the book Kitty Knits will appeal to both cats and their owners! This catnip mouse is knit back and forth with bobble ears and an i-cord tail. 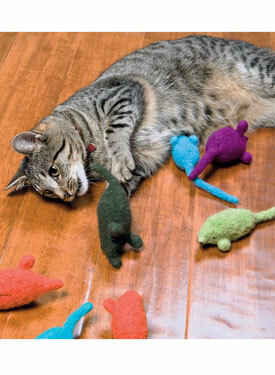 Stuffed with fiberfill and a touch of catnip, this little mouse will drive your furry friends crazy with delight.